Long time no post! I'm in the middle of moving so I'm trying to make sure everything gets done early so that I'm not running behind on swaps or bees with two weeks of downtime! This is an old swap project that I just haven't posted about yet. 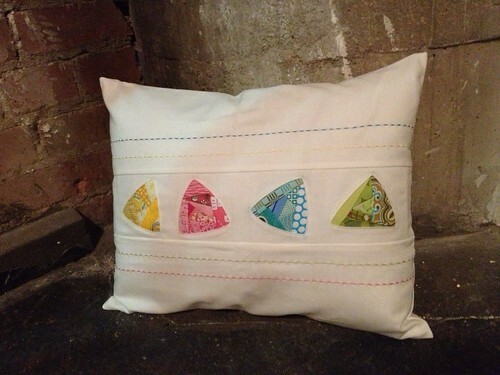 For the latest Modern She Made Swap I made a travel sized pillow for my parter. One of the requirements was that you incorporate triangles. I decided to try a new technique, reverse applique. I loved how it turned out!! 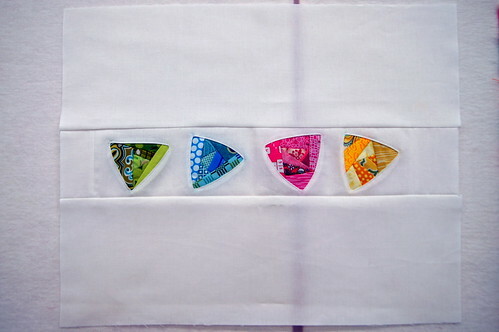 I pieced 3in x 3in pieces of super small scraps to make the triangles, drew a triangle on the white Kona, cut a 1/4in notch at each corner of the triangle, folded the edges back and ironed them down. 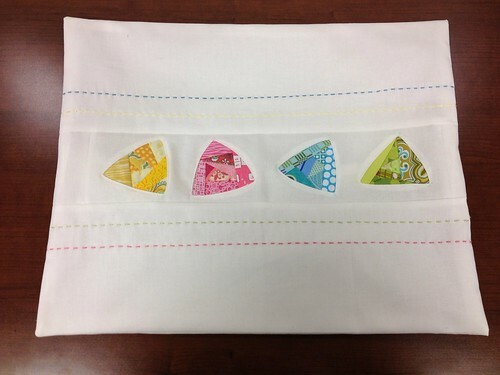 I then positioned the colored piece behind each opening and sewed right along the edge on top of the white to tack it down. Super easy and I love the 3D effect it gives! I wish I would have taken more pictures! She liked it so I'm glad! 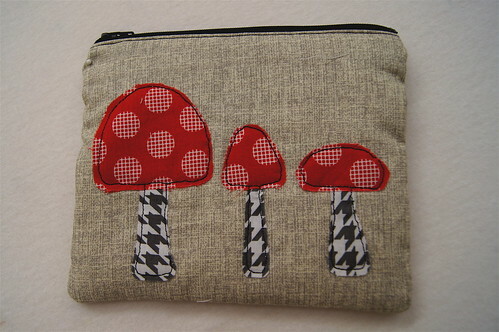 I also sent along a pouch that I posted about the other day, the mushroom pouch! I love trying new things and this is one that I will definitely have to do again. Happy New Year!! That pillow is adorable! Good luck with the move!